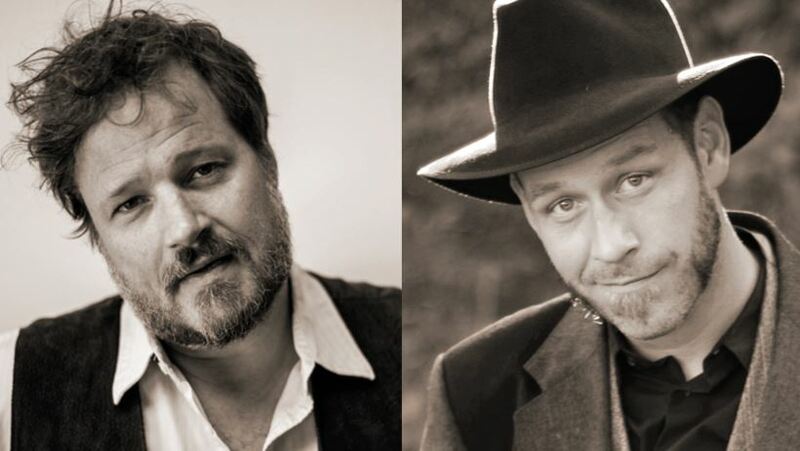 Come and hear two of Canada's favourite traveling troubadors at the HOT CLUB! Corin Raymond (www.corinraymond.com) is a legendary Canadian songwriter in the style of Johnny Cash or John Prine, whose songs are covered by a far flung community of established roots musicians and campfire enthusiasts. Acoustic Guitar calls Raymond's latest JUNO award-nominated album Hobo Jungle Fever Dreams "a hypnotic, literate collection of dark tall tales... Romantic, immediate, and narcotic”, while The Globe and Mail says “Corin Raymond is a storyteller who by the end of the night you'll have known your whole life." Scott Cook (www.scottcook.net) has distilled the stories collected over a decade of near-incessant touring across Canada, the USA, Europe, Asia, and Australia into straight-talking, keenly observant verse. He has already completed five tours of Australia, including talked-about performances at Woodford, Cobargo, Candelo, Cygnet, Newstead, Illawarra, the National, and Yackandandah folk festivals. In the words of the UK's RnR Magazine, "there's nothing flash about Canada's Cook. He sings his heart and soul, and in doing so lets light flood into your own... truly one of Woody Guthrie's children."